The fascinating connection between Malta and cinema, that already lead AP to participate in the Small Cinema Conference, is at the centre of the recently presented volume World Film Locations: Malta. The island served as a beautiful backdrop for films for nearly as long as there has been a film industry, but (almost) never played itself: ancient Troy, Alexandria, Greece, Israel, countless locations. 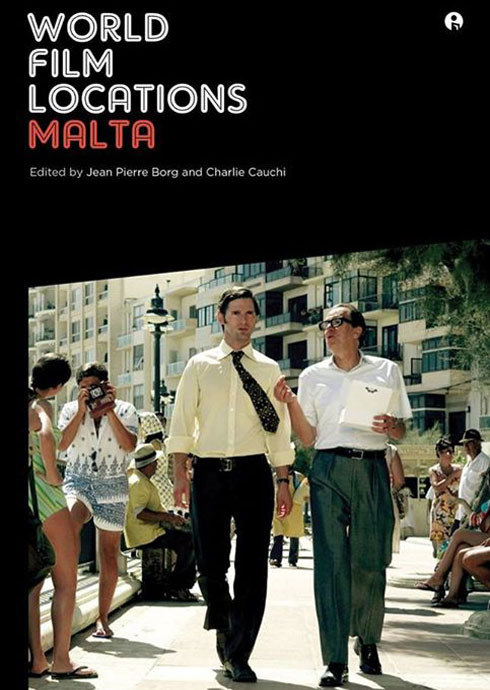 The book examines a number of cases, from modest indie pictures to big budget blockbuster, including film both completely and just partly shoot in Malta, tracing history as seen on the screen. Moreover, you can find an article by Guillaume Dreyfuss from AP that completes the scenario with some reflections on the reasons lying behind the choice of Valletta for so many productions and cinema’s contribution to the understanding and appreciation of space and of the city in particular. As he wrote, “beyond the often discussed issues of real and virtual, it is the alternative architectural journey provided by the moving image that is remarkable”.